If you regularly send email campaigns and newsletters, or are responsible for quality of email marketing, a list of pre-launch checks for your email campaign is very handy. Be sure your email newsletter and campaigns are A-OK before hitting send with this free email marketing pre-launch checklist. Everyone that is responsible for sending email marketing campaigns and newsletters knows they should be checked and double checked. We all want to prevent making any embarrassing mistakes in front of our complete email list. 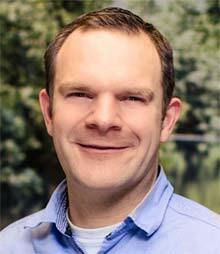 At the same time we want to ensure that the email has the best chances of success. In my experience a last minute review of your email is a very valuable exercise, well worth the time. With this email marketing checklist you can check your email campaigns and newsletters on a functional level, but with knowledge of the email production process and the needed marketing must-dos. The result of compiling this list after working with email marketers, general online marketers, code wizards and graphical designers for more than ten years. The checklist is divided into 12 topics: Text and Content, Focus, Analytics and Reporting, Your Subscriber List, Action Orientation, Functional Testing, Images and Design, Necessary Elements, Value Added Email, Strong subject lines, Scheduling and….. the Final Check. It is best used before sending out any email campaign. But download it now, this way you can spot any things to do, before it is the time to launch your email campaign. 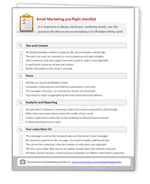 You can use the email marketing pre-launch checklist every time before sending an email newsletter. Even seasoned email marketing professionals make mistakes sometimes and it’s easy to forget to check one or two things. That’s when Murphy’s Law kicks in. Using a checklist with everything to check and double check can help ensure that your email newsletter has the best chance of succeeding.